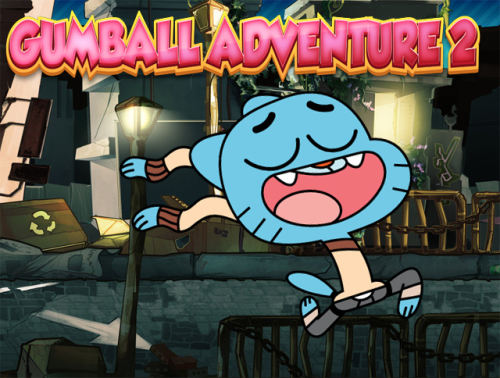 Description Gumball Adventure 2 is a great adventure game. Help Gumball to collect all balls and past all 6 levels.When Gumball collect all balls, on the stage will be open a portal. You need to find him and finished the level. Be carefull cose Gumball have a lot of enemies. Use arrows keys to move Gumball, and A for punch. Have Fun all the way in this funny adventure game! Good Luck!